Hobbs battings offer the best 80% cotton/20% polyester battings on the market. 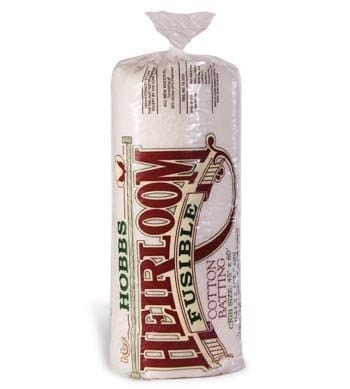 This batting is an iron on batting made the same way the Hobbs Heirloom Premium 80/20 batting, except it uses a fusible resin in the spray bonding process, on both sides. Crib size is 45 ” x 60 “.